Nearly 20,000 Tags to choose from. 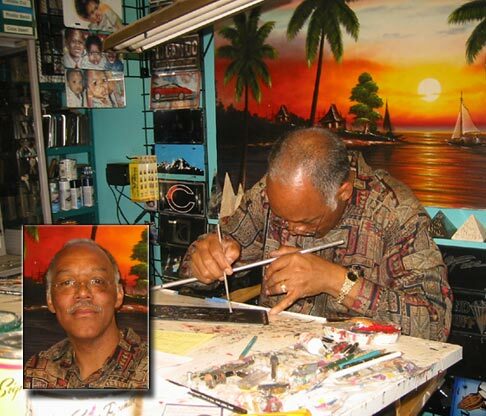 Artist Willie Jackson is the owner and operator of Custom Auto Tags. He has been in the business for 26 years, and his hand-painted custom tags can be seen all around the metro Atlanta area. Willie has created tags for movie producers needing cars to appear as though they were from out of state or of a different era. He has also made tags for such celebrities as Trisha Yearwood, Deion Sanders, Andre Rison and Evander Holyfield. Click here to view samples of Willie's work.